These are fun summer themed coordinate planes. I have included three different types of grids (bigger intervals, smaller intervals, and "hash marks" only with no grid lines) to suit your learners best. 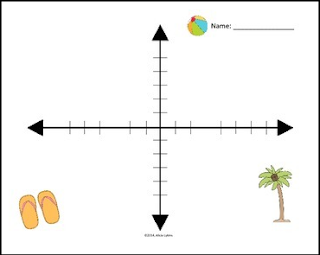 Use them in your next coordinate plane activity or lesson, or let your students create their own coordinate art! I have included a black and white version as well as a color version for each grid.